"Some things are better left unseen"
Faith and religion are dying, but that doesn’t make the demons any less real. Maeve Nealon, an Irish small-town girl who has recently moved to London, realizes just how real demons can be when an everyday morning commute turns into a fight for her life. And now that she can see them, they can see her…. 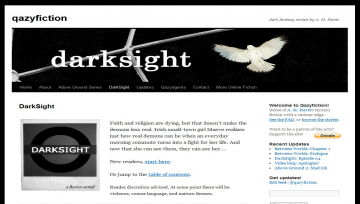 DarkSight has not been reviewed yet.